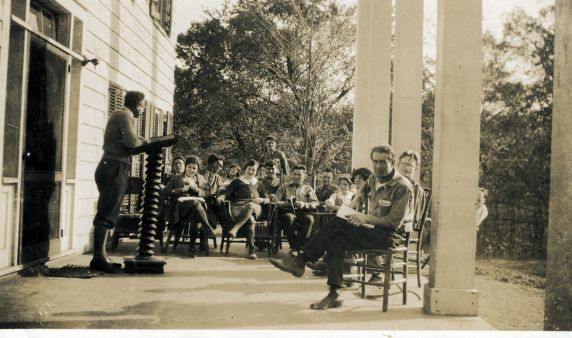 While the 1920s are often described as “lean years” of progressive action, Andreas Meyris explains how the Brookwood Labor College in Katonah, New York served as a conduit for transnational radicalism in the 1920s while also training labor journalists and up-and-coming labor leaders like Walter Reuther and Rose Pesotta, setting the stage for the explosion of industrial unionism during the 1930s. Meyris is a PhD candidate at the George Washington University, specializing in American labor and political history. He received a Sam Fishman Travel Grant in 2018 to examine the Brookwood Labor College Records at the Reuther Library in support of his dissertation, “Democracy is Sweeping Over the World:” Transnational Radicalism During the “Jazz Age.” Meyris explores in his dissertation American networks of radicalism and reform during the “roaring twenties,” a period generally thought to be lean for labor and progressive action. However, Brookwood created active movements for economic reform, by keeping in close contact with labor colleges abroad, hosting foreign labor leaders, teaching courses in comparative labor and political studies, and specifically inviting speakers who warned of the dangers of fascism in Germany and Italy.